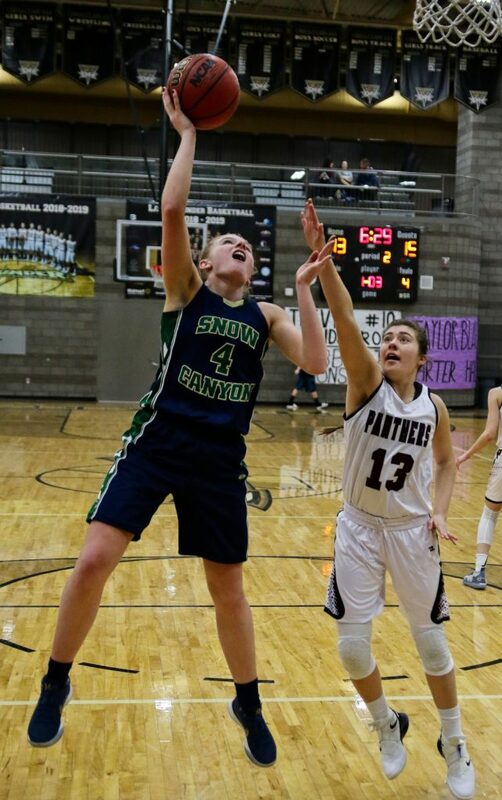 ST. GEORGE — The Pine View Panthers edged Snow Canyon 42-37 Tuesday night to secure Region 9’s fourth and final playoff spot. 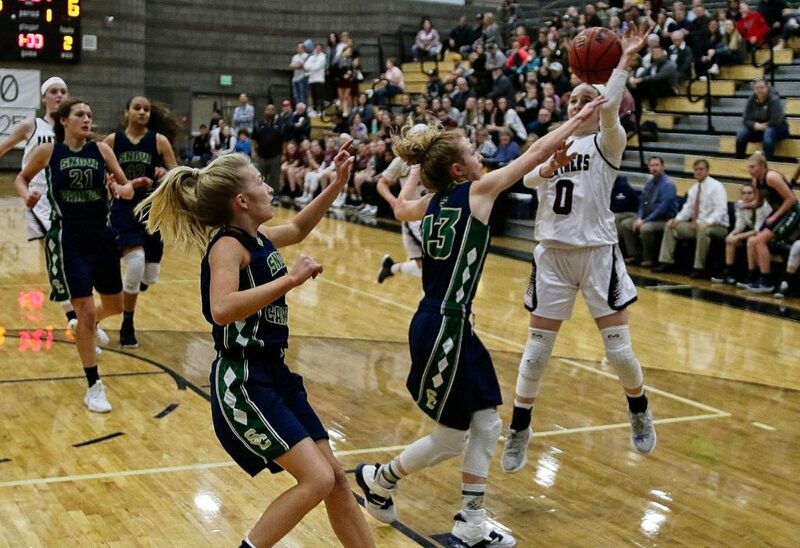 The play-in game between two teams that finished the regular season tied for fourth place with 5-7 records was staged on the neutral court of Desert Hills High School. 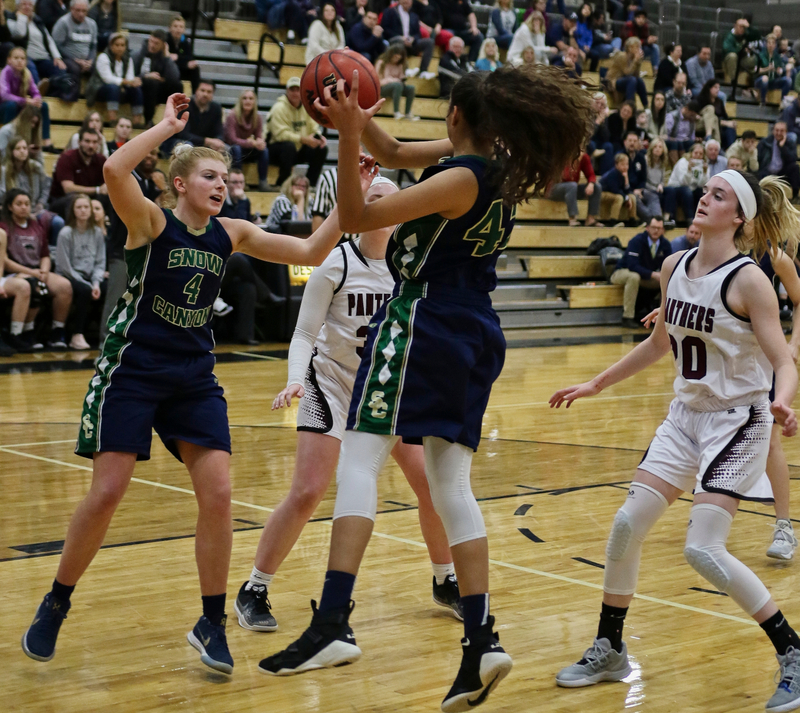 The game was a back-and-forth battle all the way, with Snow Canyon leading after the first and third quarters and Pine View leading at the end of the other two. Snow Canyon junior guard Tylei Jensen scored all 10 of her team’s third-quarter points as the Lady Warriors took a 30-26 lead heading into the final quarter. 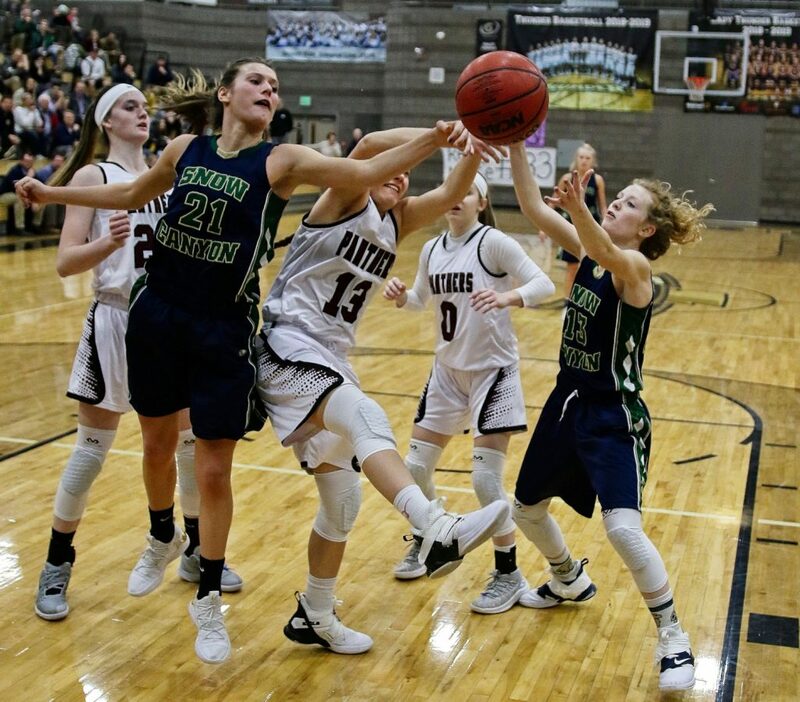 Snow Canyon’s Rachel Durante scored the first basket of the fourth period to extend the Warriors’ lead to six points, 32-26, but Pine View responded with a 10-0 run, fueled by back-to-back 3-pointers by sophomore guard Alex Olson. 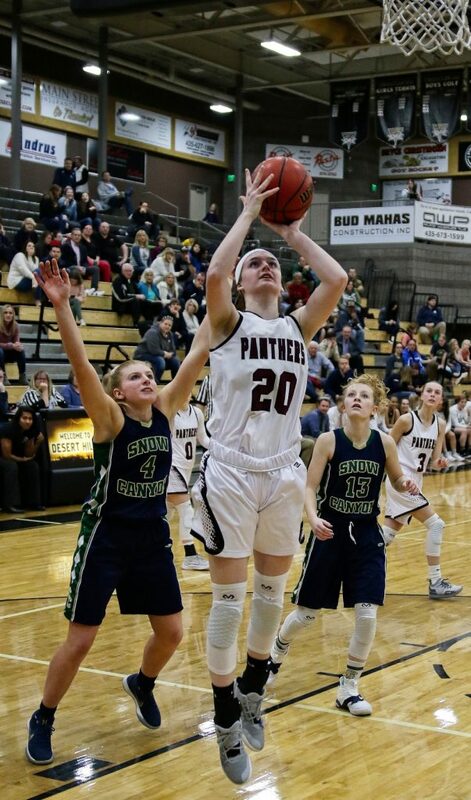 Pine View’s 10-point run was capped off by sophomore center Averi Papa’s putback after an offensive rebound, giving the Panthers a 36-32 lead with 4:40 left. After multiple turnovers and missed shots by both teams, Durante then drilled a 3-pointer with 3:10 remaining to cut Pine View’s lead to one point, 36-35. 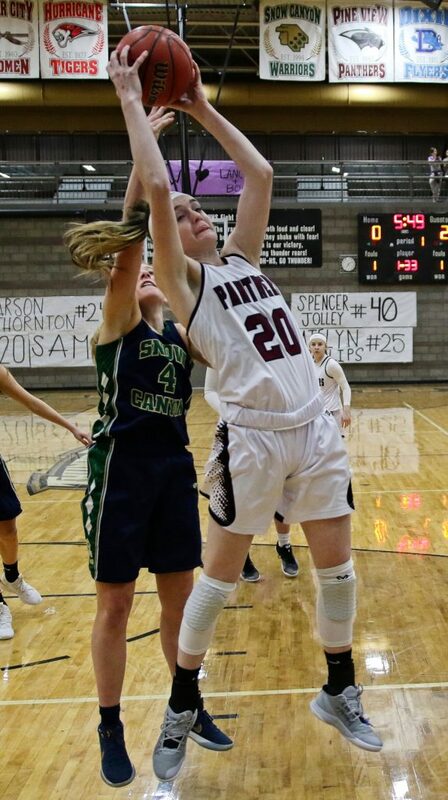 On Pine View’s next possession, Papa was fouled underneath by Hallie Remund, who picked up her fifth personal foul on the play. Papa made both free throws to put Pine View ahead by three once again, 38-35, with just over two minutes left in the game. 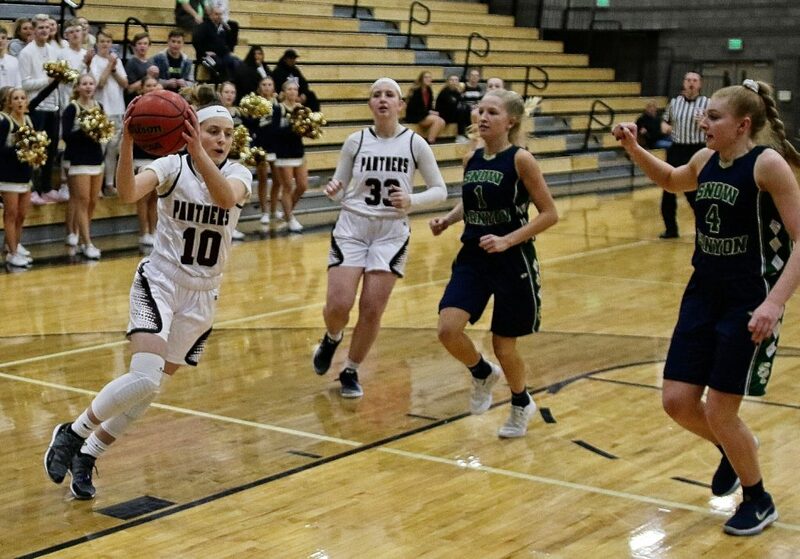 With about one minute left, Olson stole the ball from Tylei Jensen, leading to Sophia Jensen of Pine View swishing both ends of a one-and-one to make it 40-35 for the Panthers with 46 seconds left. 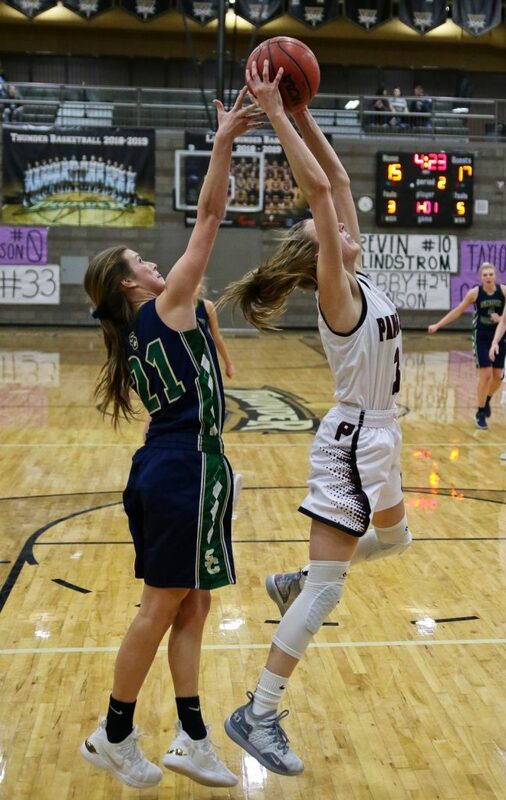 Snow Canyon then missed a couple shots, after which guard Olivia Harris made a pair of free throws to cut Pine View’s lead to three points, 40-37, with 9.5 seconds left. 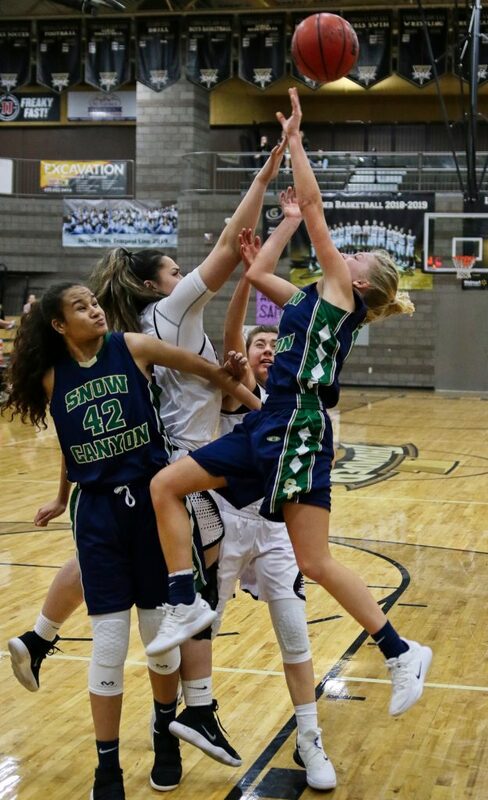 Snow Canyon fouled Sophia Jensen immediately on the inbounds pass, and she once again converted both free throws in a one-and-one situation to put the game safely out of reach, 42-37. Tylei Jensen led all scorers with 17 points, although she was held scoreless during the fourth quarter. Durante added 10 points for Snow Canyon, five of those coming during the final period. Papa, who led the Panthers with 16 points, said after the game the key to victory was teamwork. 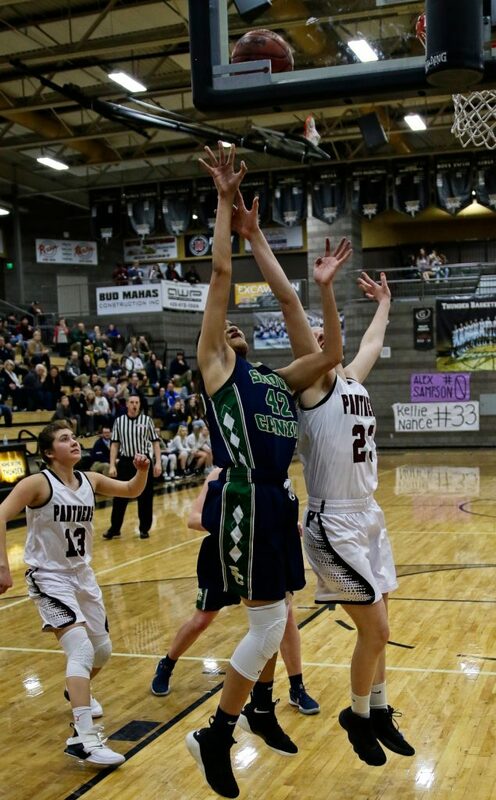 “We just wanted to work it around, be patient and get the best shot,” said Olson, who finished with 9 points on three 3-point shots, the only treys made by Pine View. 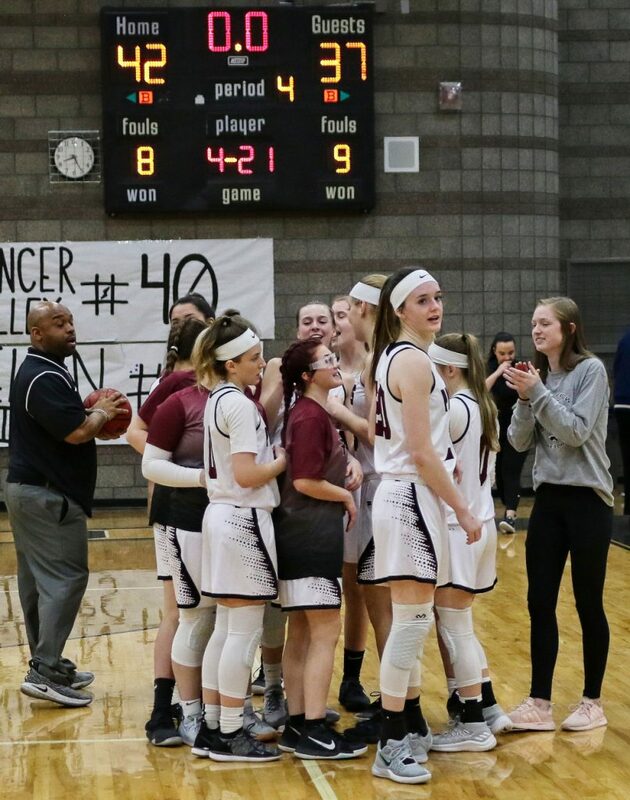 By winning Tuesday’s play-in game, Pine View will travel north to face top-seeded Lehi at 6 p.m. Saturday, as the first round of the 4A playoffs gets underway. Lehi (11-1 in Region 10, 19-3 overall) has won 11 consecutive games. “Lehi’s a tough team, well-coached,” Brinagh said. “You know they have a team up there ready to go and we’re eager for the challenge.